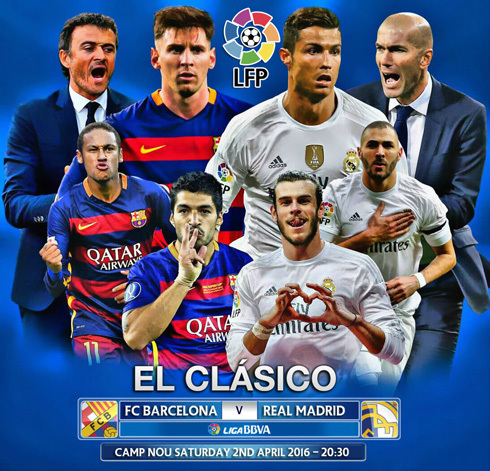 Barcelona and Real Madrid will be facing each other this next Saturday at the Camp Nou and unlike in most occasions where these two teams have met in the past, this time there's not much to be decided except who's taking home the 3 points. The Spanish League has been virtually won by Barça for a few weeks now, after taking off in the standings and putting both Atletico (9 points behind) and Real Madrid (10 points behind) way distant in the rear mirror. However, a Clasico is always a Clasico and if there's any team in the world capable of surprising Barcelona in their own backyard, that's probably Real Madrid. Even though Zinedine Zidane's are huge underdogs coming into this match with sportsbookmakers like 888Sport offering a 550% return on a Madrid win, there are still plenty of reasons why we believe the Merengues can pull it off. 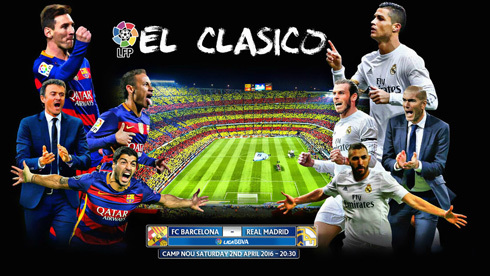 The 0-4 loss inflicted by Barça at the Bernabéu last October is still very present in everyone's mind. If Barcelona somehow manages to repeat the same result this time at the Camp Nou, bookmakers are prepared to reward their clients with a payoff 22 times higher their initial bet! However, Real Madrid needs to get their pride back and bring home a positive result to redeem with their fans. For Madrid, it's more about honour than anything else. The French manager was put in charge of Real Madrid's first team in the early days of January and even though he already suffered a few upsets in his short journey thus far, it also seems evident to everyone that there's been a significant improvement from the Rafael Benítez's days. It's going to be Zidane's first Clasico as a coach and he more than anyone else certainly wants to make it a memorable game. Barcelona's Messi, Suárez and Neymar might be in great form this season, but if there's any other attacking trio in world football today who can outshine the MSN, that has to be Bale, Benzema and Cristiano Ronaldo (the BBC). These three didn't have the chance to play together on many occasions this season, but they're all fit for next Saturday and that can only be good news for Madrid. Even though this might be a reason that can be used for both teams, we believe it may play a bigger factor in Real Madrid players' minds rather than in Barcelona's. We've seen the Merengues failing to deliver in more than 1 game this season where pressure had piled up on their shoulders and this time around, that surely can't be used as an excuse. We may not have a direct switch to turn on and off a particular mindset, but if Zidane manages to motivate and prepare his players to this Clasico with the same mindset they have been approaching their European fixtures, Real Madrid will have better chances to come out on top against such a strong Barça side as this one. The Portuguese superstar has been going through a few highs and lows this season. No one even questions that... Lately however, he has been showing very positive signs on the pitch, scoring multiple goals similar to the ones he used to net in his good old days. As long as he plays, we can always expect Ronaldo to score for Real Madrid and the odds for CR7 to score first against Barça are currently priced at 7.00. 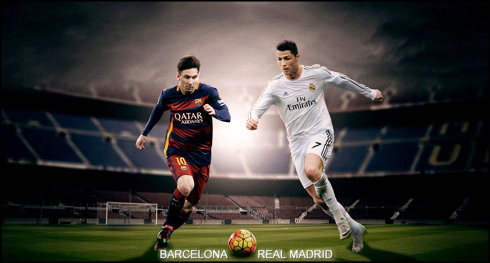 Make no doubt about it, Ronaldo will be Real Madrid's main threat to surprise Barcelona this Saturday evening. Don't lose the opportunity on 888sport's offer to get your winnings tripled in case you place your first best as a new customer. 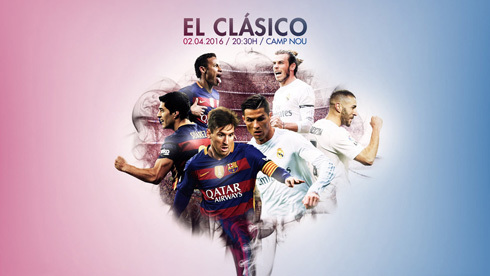 With a Barcelona v Real Madrid on the horizon, timing just couldn't be better. Cristiano Ronaldo next game with Real Madrid is for La Liga on the 2nd of April of 2016, against Barcelona. You can watch Juventus live stream, Barça vs Real Madrid, Atletico Madrid vs Betis, Aston Villa vs Chelsea, Arsenal vs Watford, and Bournemouth vs Man City, all matches provided from our soccer live game pages.